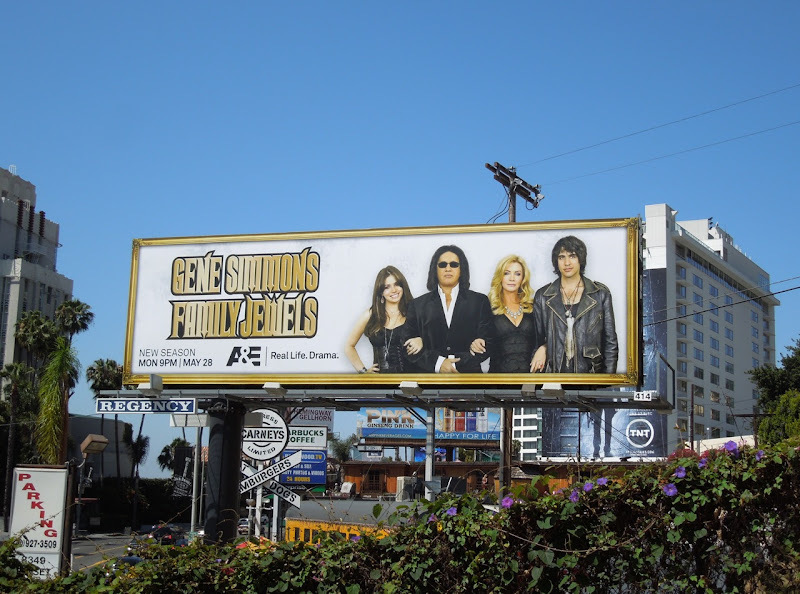 Gene Simmons and his brood have decided to quite literally pose for a family portrait in this new billboard for the seventh season of their reality TV show Family Jewels. 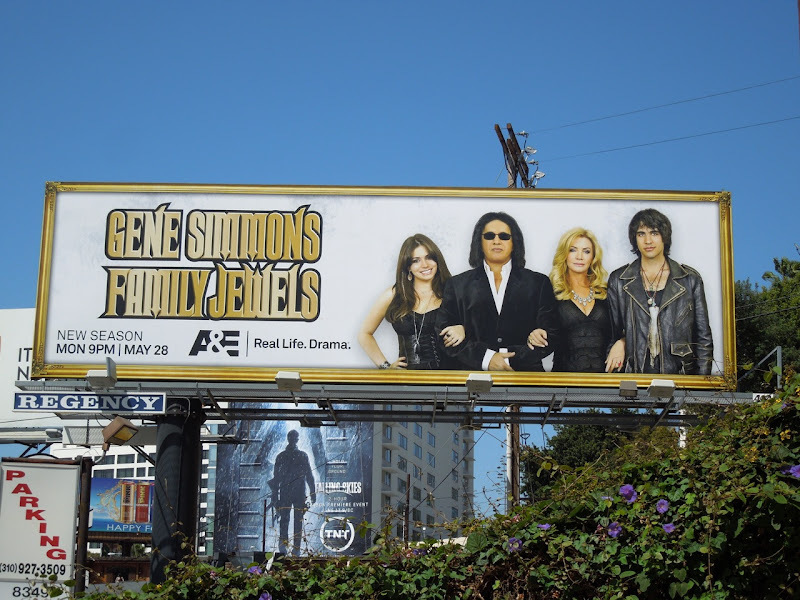 This gilded picture frame creative was snapped along Sunset Boulevard opposite The Standard Hollywood Hotel on May 22, 2012. 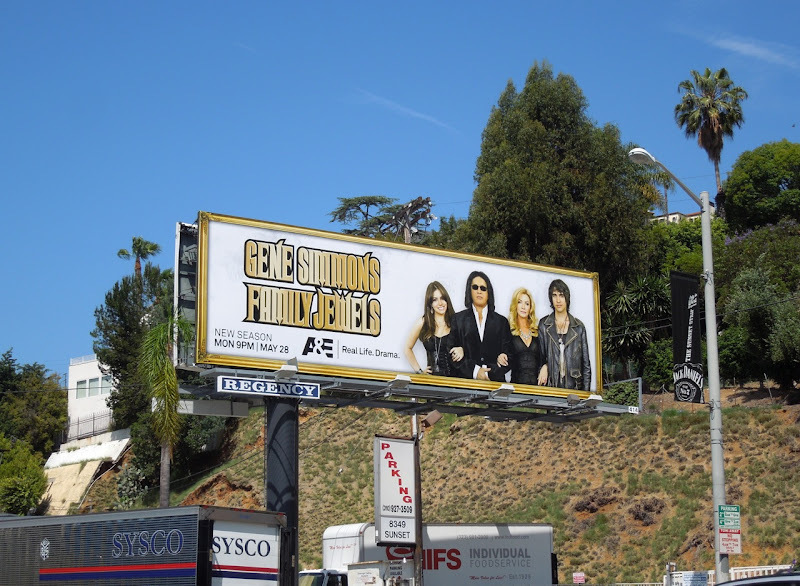 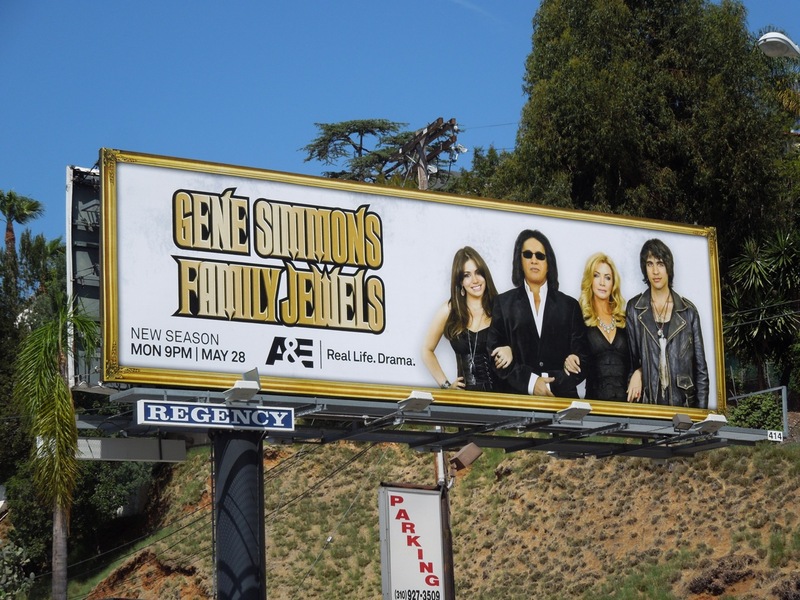 If you're a fan of the show, be sure to also check out the season six Gene Simmons Family Jewels billboard plus Daily Billboard's favorite, the Family Jewels wedding episodes special extension billboard.